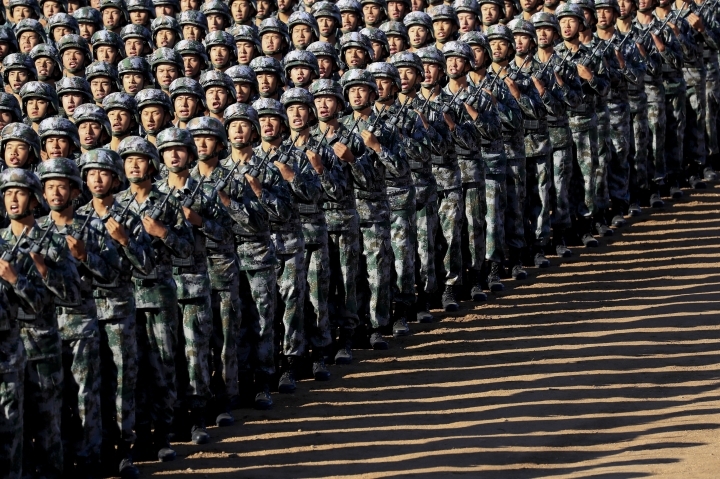 BEIJING — China's military has the "confidence and capability" to bolster the country's rise into a world power, President Xi Jinping said Sunday as he oversaw a large-scale military parade meant to show off the forces at his command to foreign and domestic audiences. 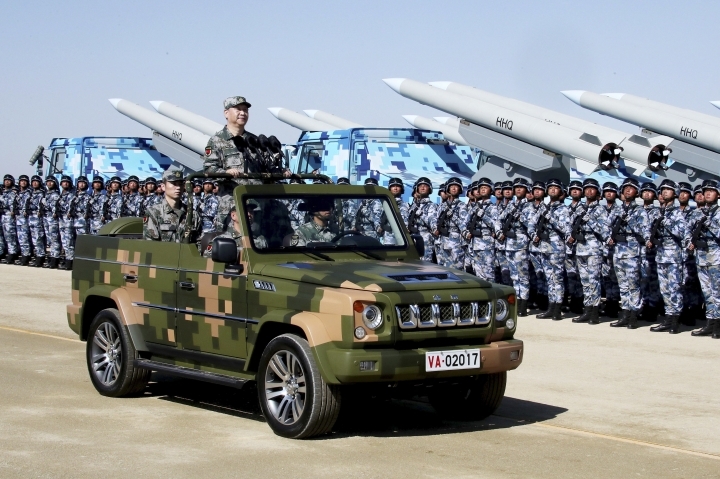 Live state television broadcasts showed Xi, dressed in fatigues and speaking from an open-top jeep, telling his troops that China needed a strong military "more than ever" as it moved "closer to the goal of the great rejuvenation of the Chinese nation." 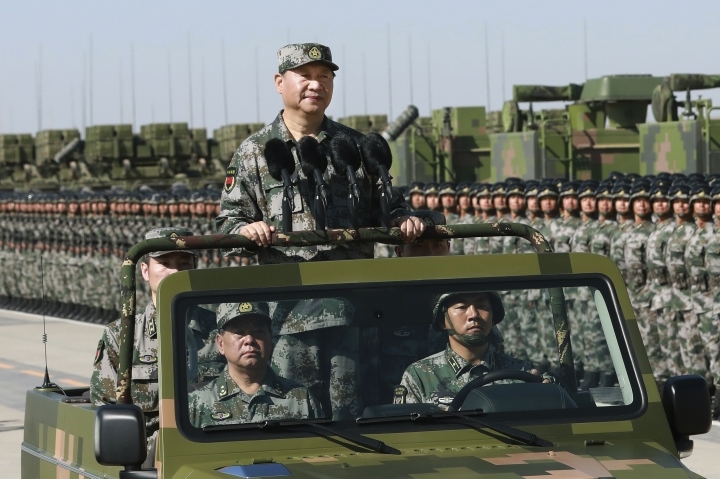 Xi, who commands the People's Liberation Army as chairman of the Central Military Commission, has frequently spoken of his "China Dream" to restore China to a leadership position in international affairs with a modern, far-reaching military force to match. 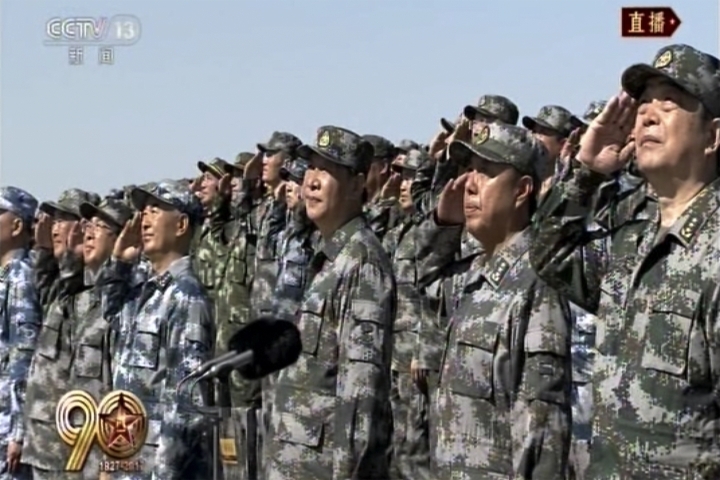 The parade at the Zhurihe military training base in China's Inner Mongolia region was also a sign domestically of how Xi has enhanced his control over the PLA, just as he has over every other political power base within the sprawling Communist Party, ahead of a pivotal party congress this autumn. 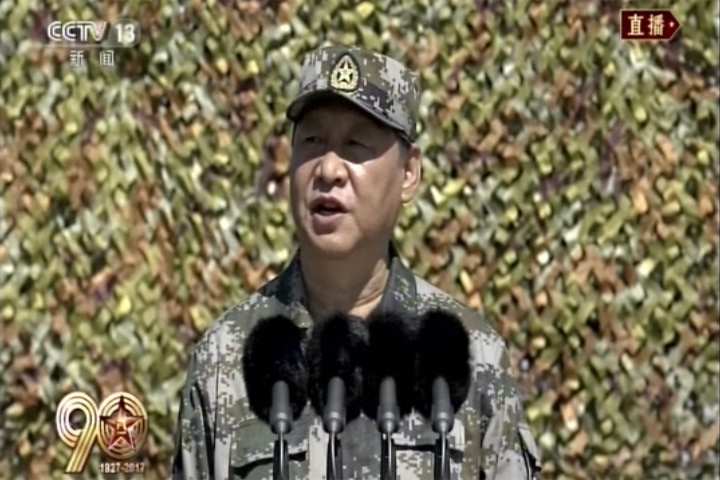 A Communist Party "princeling" fond of deploying revolutionary lore and nationalistic rhetoric, Xi declared the PLA ready to defeat all "invading enemies" as he celebrated the 90th anniversary of the PLA's founding. It was the first time a parade has been held to mark the occasion. 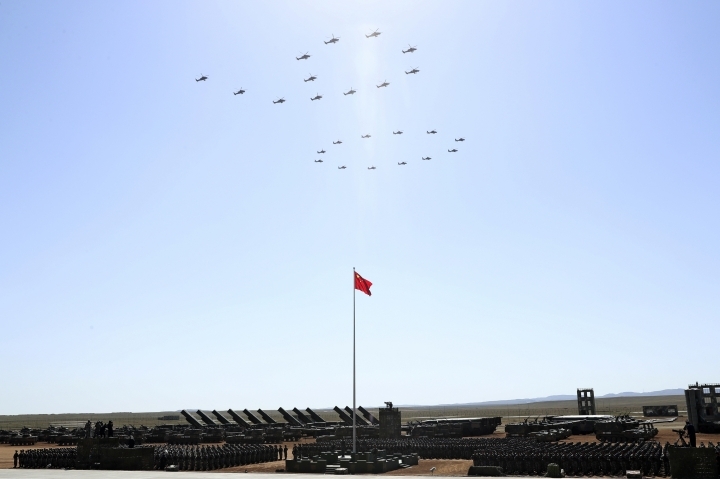 "We need to build a strong people's military more than any other time in history," Xi said as he inspected troops, armored vehicles, missiles and aircraft, hailing each formation by shouting "Comrades, you've worked hard!" The forces addressed him as "Chairman Xi" as they rumbled past. The parade was blanketed by state media coverage and streamed for foreign audiences on YouTube, which is blocked inside China. 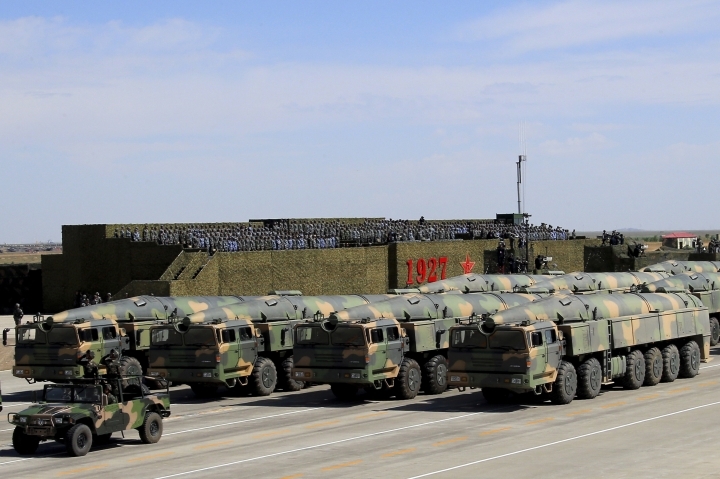 On display were advanced weaponry including a new Dongfeng-31AG variant of the nuclear-tipped intercontinental ballistic missile and the Dongfeng-21D "carrier killer." Several H-6K bombers, the long-range aircraft recently involved in exercises near Japan and the South China Sea, were shown flying by overhead. 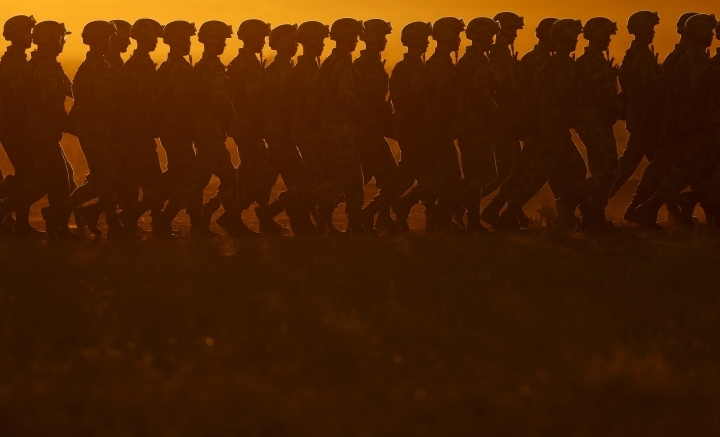 Xi has emphasized combat readiness for the PLA — long criticized as a corrupt bureaucracy with scant combat experience — and pushed for an ambitious modernization program to make it a leaner force capable of projecting power overseas. 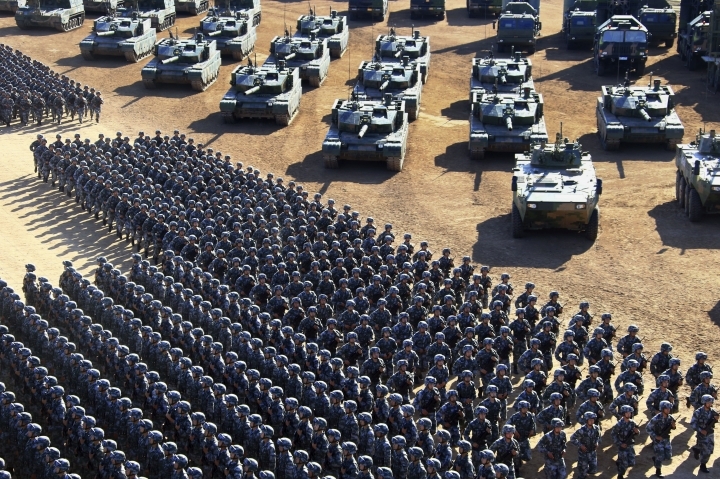 Xi ordered 300,000 troops cut from the world's largest standing army two years ago while overseeing investments in aircraft carriers, nuclear submarines and stealth fighters with the goal of surpassing the United States in regional and even global influence. 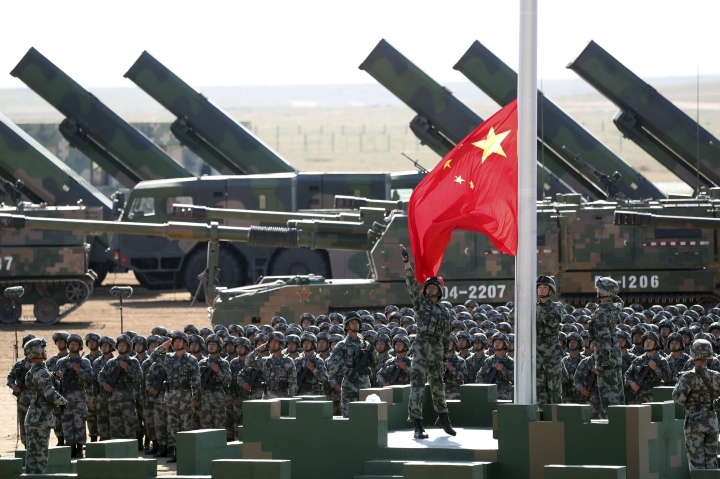 Although China has framed its growing military as a force for stability and peace, its expanding footprint and assertive posture in contested regions like the South and the East China Seas have worried neighboring nations and U.S. allies in the Pacific. Xi has been similarly emboldened on the domestic front as he took on powerful figures within the influential military establishment. He ordered anti-corruption campaigns that took down top-ranking generals and creating new battle theaters that placed trusted officers in command and shunted aside others. To reinforce his political position, Xi has extracted televised vows of loyalty from top generals while holding frequent events to show his affinity and support for the military, including a troop inspection in Hong Kong in June and a ceremony to present citations to 10 officers last week. 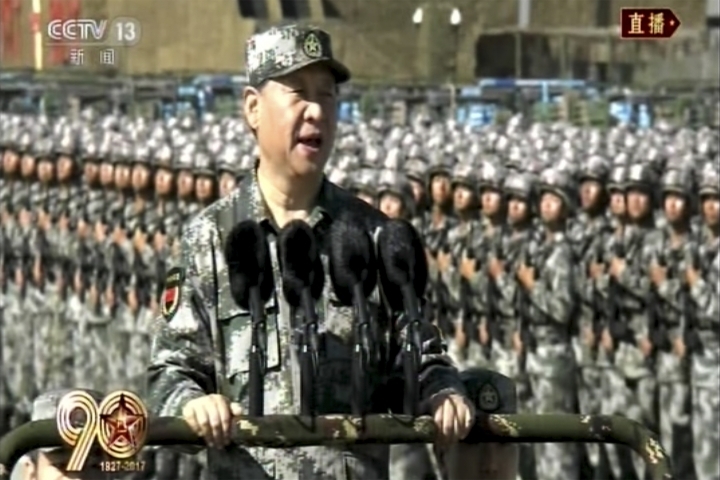 On Sunday, Xi issued another call for loyalty as he instructed his amassed 12,000 troops to "unswervingly stick to the fundamental principle and system of the party's absolute leadership over the army," the official Xinhua News Agency reported.